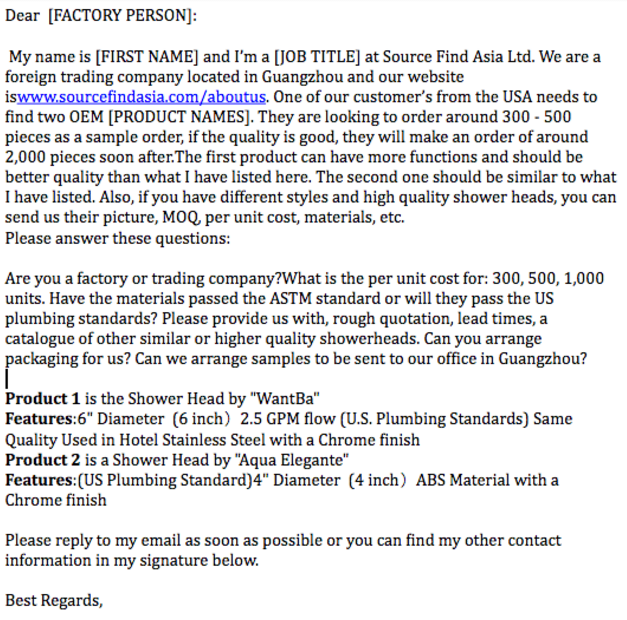 Note from Sean: This is a little different than some of our other posts, but it’s a question we get asked all the time: how do you find suppliers and factories to make your product ideas? Alibaba is the largest network and search engine for factories and suppliers in the world. But if you don’t know what you’re doing it’s incredibly easy to get burned. While there is still no replacement for personally going abroad, Alibaba can be a great starting point. 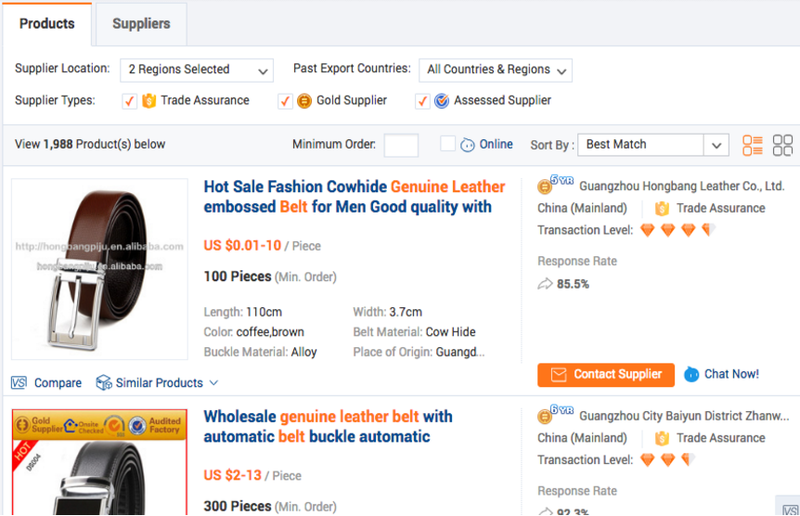 This post was written by my buddy Rico over at Enter China to help you get started finding a high quality supplier for your new business idea. 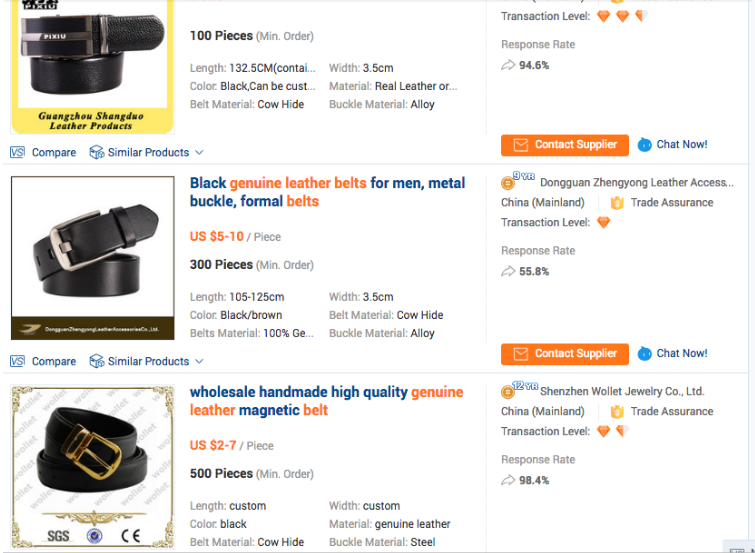 Finding good suppliers on Alibaba can be a real headache. If you don’t know what you’re doing you can end up wading through a sea of different companies and never figure out who to trust. In addition, it can be hard to tell whether the people you’re contacting are actual factories or just agents looking to get a cut. With the right strategy for finding suppliers on Alibaba, you can have success. After several years of being on the ground in China and working with countless suppliers, I’ve learned a lot. And at Enter China, we have an awesome community of entrepreneurs who are always sharing great information and helping each other out. 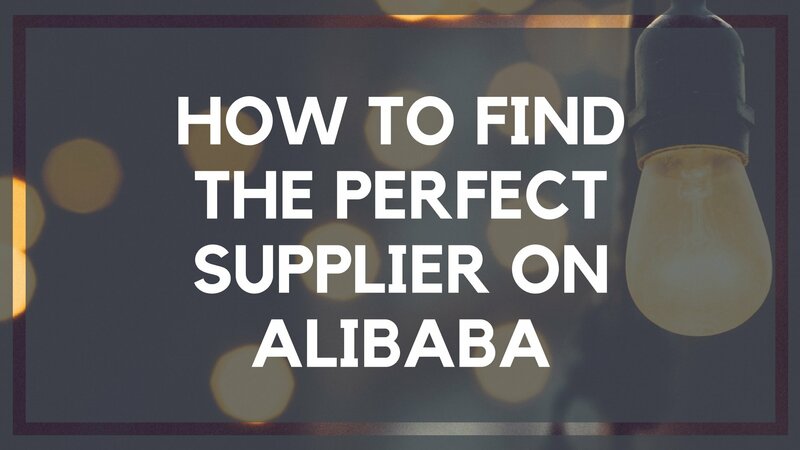 Today, I’m going to show you my approach to finding suppliers on Alibaba. And then also read our guide on How to Manufacture a Product in China. The first thing you need to do is to put some effort into getting game-ready because not being prepared can break your business. You’ll need to consider the basic design, basic specs, materials needed, order quantity and maximum spend. Do you want a factory that can simply manufacture a design that already exists and maybe make a few tweaks to it? If so, you’ll want to work with an Original Equipment Manufacturer (OEM). You might be an inventor, have an original concept on an existing product or you might want help designing a product from scratch. If so, you’ll want an Original Design Manufacturer (ODM) factory. 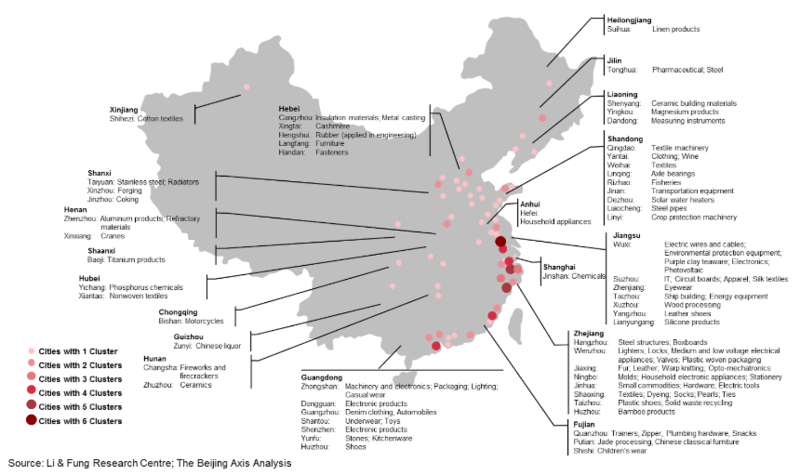 There are different regions in China that specialize in particular product categories. In general, most suppliers will be located in Guangdong province. And different cities in the province specialize in different things. It’s best to find a factory that’s located near other factories with the same specialty. Now that you have done your pre-qualification, it’s time to start searching. You’ll want to look at different factories and get a feel for which ones you might be interested in working with. 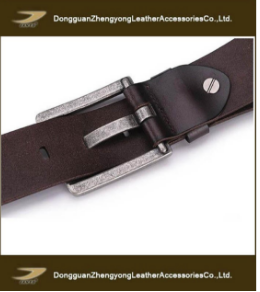 Let’s say you’re looking for leather belts. 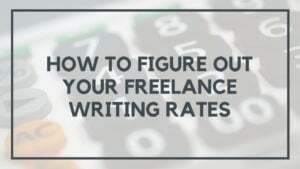 The first thing you want to do is make sure the keywords you use are fairly specific. If you’re too vague you’ll get a lot of different results. So, narrow down your search by being as specific as possible. 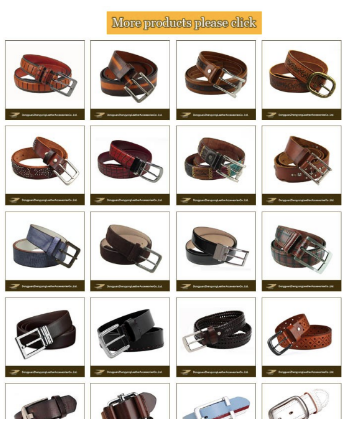 Instead of using a broad term like ‘leather belts,’ make it more specific. 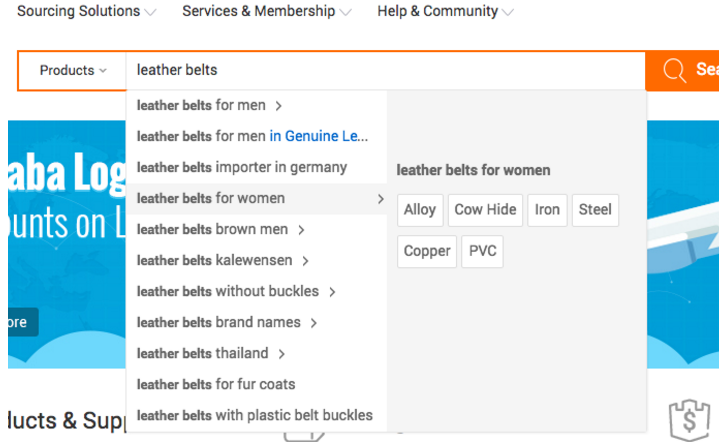 Try searching for ‘genuine leather belts,’ instead. Next, when you’re doing a search, narrow down the location of the factories you’re looking at. 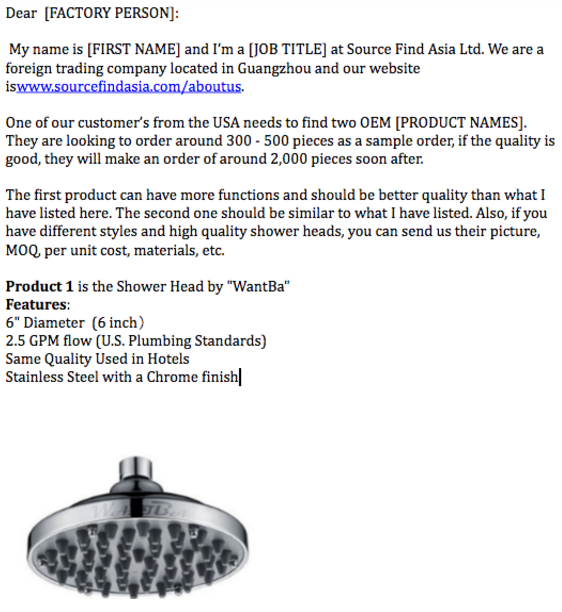 You can try searching only in Guangdong Province (China) because factories there tend to be the most professional. Guangdong Province has been involved in international trade the longest, and companies there are learning to adapt to global standards. You’ll find that most types of consumer goods sold internationally are available there. Alibaba Trade Assurance – If you have a dispute with your supplier, you can submit a claim to Alibaba. They’ll review it, and If they agree that the factory has not made good on their promises, they may give you your money back. Just keep in mind that from the very beginning your sales agreement must list the points that could cause a dispute, like QC, lead times, etc. Gold Supplier – The factory is paying Alibaba to appear more favorably in the search results. It’s a good thing. The factory is pushing their business forward, so take it as a good sign. Assessed Supplier – Alibaba has had a third-party company visit the factory to check out their facilities. Which of these three options should you select? If you are outside of China and don’t have the means to fly there or work with someone on the ground, you should definitely check all three of these boxes. The downside is that it will narrow down your search results significantly. But, if you can either come to China or work with a sourcing agent, it’s okay to only check gold supplier or trade assurance. Then, you or the person you’re working with can actually check out the factory in person. One quick note regarding trade assurance: If you decide to use it, you may get pushback from some factories because of the fees involved. If you do get pushback, you might want to offer to pay those fees. It’s time to start digging for the gems. If they are 5 or 10 years old, it means they have a little bit more experience. Keep in mind, though, that just because a factory has only been a gold supplier for a short time doesn’t mean they haven’t been operating for longer. I’ve found factories that were listed as gold suppliers for 1 year but had been in operation for 12 years. They chose not to be listed on Alibaba and grew their business solely by word-of-mouth. How structured is their page? Do they have multiple, professional-looking pictures of their products? Do they have descriptions of their products? Do they have a description of their factory and their location? Do they describe their QC process? Do they have keywords that make sense? Or, have they just stuffed a bunch of irrelevant keywords into their page? If their page only has one, low-quality iPhone picture… Close the tab. If they’re missing key information… Forget about them. Asking yourself the questions above will let you know whether or not to waste your time with the supplier. 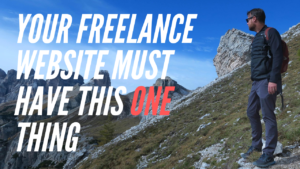 If they are not putting enough effort into crafting a professional image, close the tab immediately. After you’ve asked yourself the 6 questions above and a supplier’s page looks good, click over to the ‘Company Information’ section. From there, click on their website URL. 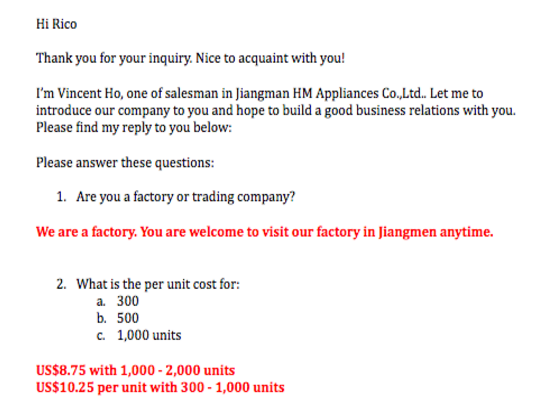 As you look at their websites, you can start to weed out any fake factories. Once you are on a supplier’s website, you’ll see the other products that they make. 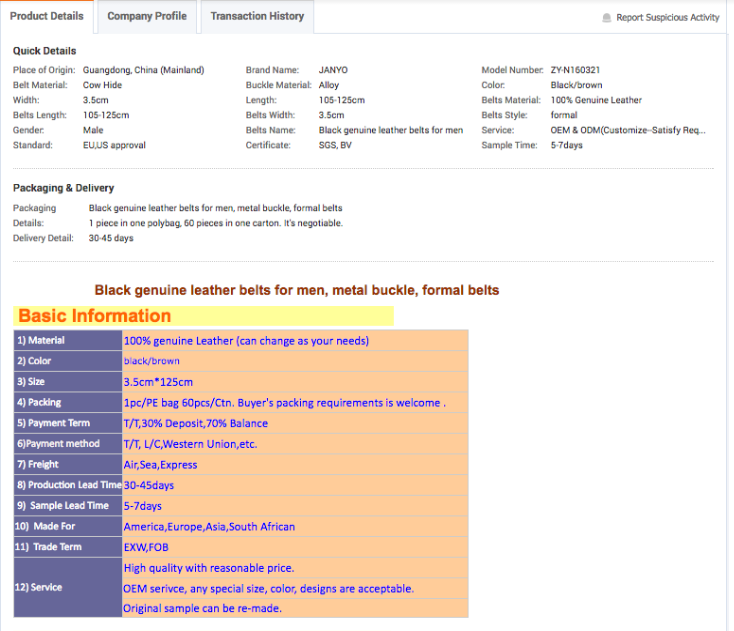 If a company is making leather belts, then the other products on their website should also be made out of leather. For example, maybe they’re making leather bags and leather shoes. That means they are specializing in leather, and that’s a good thing. But if they’re making leather belts and then their other products are plastic water bottles, pens, LED candles, books and microphones then that’s probably just a trading company. You can forget about them. Once you’ve gotten rid of the fake factories, you’ll want to further assess the websites you’re looking at. Go to each factory’s homepage and take a look at it. Firstly, an experienced and professional factory will have a lot of basic information on their front page and display products similar to yours. Novice or poor-quality factories will rarely have a lot of information. Secondly, they will have many variations of your product type. There will be different styles, colors, etc. to take a look at. If everything looks good, you can consider them for your factory list. Now that you’ve looked some at different factories on Alibaba, it’s time to get serious. In my sourcing company we use a system where we compile a list of 30-50 suppliers, based on initial findings. If they’ve passed all the tests in step two, you can add them to your list. You’ll want to collect the following information about each supplier on the list. Then you can have it handy later when you start reaching out to them. After you’ve compiled this information, you can move on to contacting them. Now you’ve got your list of 30-50 suppliers and it’s time to start reaching out. You can contact the factories on your list via instant messaging apps like WeChat or Alibaba Trade Manager. But most of the time, it’s going to be via email. A good email is clear, well-organized and gives the person on the other end clear questions to respond to. Let’s take a look at some examples. The first is a horrible, real-life example. The second version is vastly improved. Once a factory has shown that they can communicate professionally, you need to make sure they meet your basic requirements. Determine whether they have an MOQ that works for you. 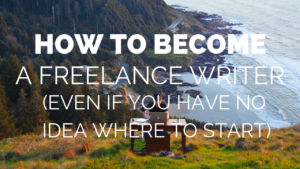 You also want to make sure they have any certifications and standards you need to meet. For example, if you’re selling lunch boxes in the US, they might need to be BPA free and meet certain FDA requirements. Once you have determined which suppliers can meet your basic requirements, you will have already weeded out a lot of the companies on your list. Now that you’ve weeded out suppliers based on their responses, it’s time to assess and cut more of them. This is where you’re going to narrow the list down to the final 3-5 factories. In step one, you decided whether you were taking an OEM approach or an ODM approach. Let’s look at the questions you need to ask for each one. Can they tweak the product? How much can they customize and what’s the cost? Can they do an exclusivity agreement? 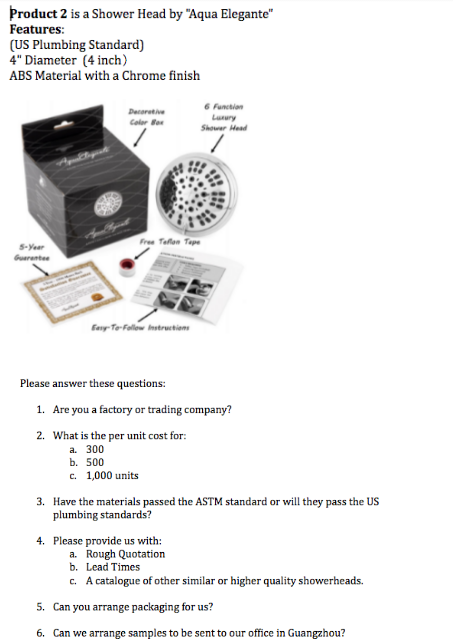 Once you have these questions answered you can order samples and plan for a factory visit or a review of the factory’s documentation and licenses. What is the cost and lead time for making new molds? Have they made many products similar to yours? Are they willing to go through the sampling process with you? What are the costs around that? After you’ve determined the answer to these questions you can plan for a factory visit or a review of the factory’s documentation and licenses. We have a couple other resources that will be really valuable as you’re looking at next steps. 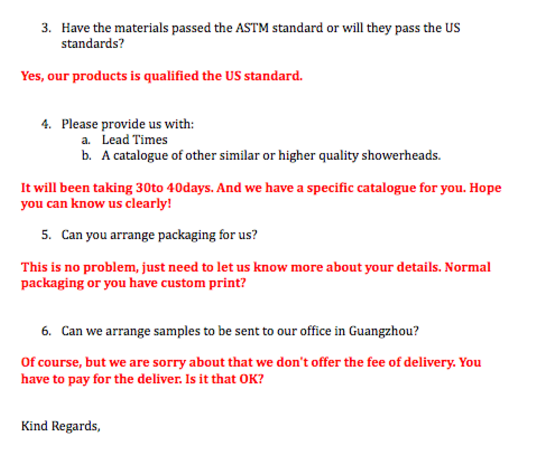 1) How to Build a Physical Product Business from Anywhere – If you don’t live in China, and want a detailed breakdown of the manufacturing process this post from Fred of Tortuga Backpacks is gold. 2) How to Create a Product (and Make $100,000 in a Week) – This case study from Ryan of Original Grain documents the process of making the product, as well as launching it on Kickstarter. 3) How to Build an Amazon FBA Business – This detailed walkthrough shows you exactly how to sell the products you make via the Amazon FBA (Fulfilled by Amazon) model. Not sure if a physical product is for you, but know you want to start something online? Then this is exactly what you need. Incredibly thorough and actionable post Rico! Appreciate you taking the time to walk through the process in such detail and share real life examples. Many thanks, Rico (and Sean). 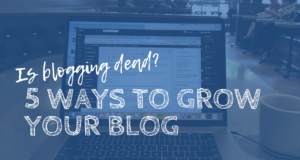 Very useful post! I have been scouring the internet for hours for a step-by-step list like this. 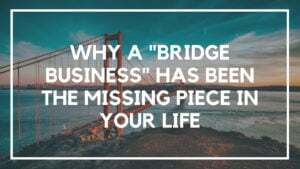 Thank you for sharing this information, This article is really important to the person who want to start a business like me. Kudos!